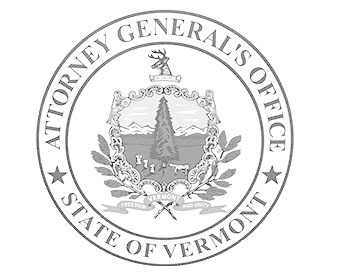 Since July 1, 2010, Vermont law provides Vermont homeowners in foreclosure with the right to meet with a representative of their lender or mortgage servicer to discuss options for staying in their home. This meeting is called a Foreclosure Mediation and is facilitated by a neutral third party called a mediator. Homeowners: For information on your rights as a homeowner, see the Consumer Assistance Program’swebsite. Mediators: Any foreclosure proceeding instituted after December 1, 2013, must comply with the provisions of Act 8 amending 12 V.S.A. §§ 4631-37, including filing a copy of the Foreclosure Mediation Report, now available to be filled in on line, and other information and documents with the Attorney General’s Office. Mediators are welcome to use this form for any mediation effective immediately. Should you have any difficulties, please e-mail James Layman. If you have a full version of pdf reader software, such as Adobe Acrobat Pro, you may download the form onto your desktop and complete it at your leisure, print it for the Court and parties and/or submit to the Attorney General’s Office using the submit button at the end of the report. If you have a more limited version of pdf reader software, such as Adobe Reader, you must complete the form at one time, print for the Court and parties and submit to the Attorney General’s Office using the submit button at the end of the report. You may cut and paste from other documents, e.g. counsel’s name, firm name and address; text explaining why all documents were not supplied by a party or why you find that a party did not participate in the mediation in good faith. If you run out of space in any area, check the “cont. on page 7” box, and complete your text on page 7. If you do not use page 7, please be sure to indicate as much on the bottom of page 6 so that the Court knows that you did not include any information on page 7. National Mortgage Settlement: Is there help for you? The recent settlement with five of the largest banks in the United States will benefit many struggling homeowners in Vermont. The banks are Bank of America, Citigroup, GMAC/Ally, J.P. Morgan Chase, and Wells Fargo. The settlement covers loans serviced by the five settling banks’ loan servicers. However, not every situation will fall under the terms of the settlement. Some basic information on the settlement is set out below. You can also visit the National Mortgage Settlement website or the Settlement Monitor’s website for more details. I have a problem with my mortgage. What can I do? Your first step should be to contact your servicer at the number above for assistance. I contacted my servicer but cannot seem to get my issue resolved. Can you help? Your name, loan number and street address. What bank holds the loan (if you know). The name of the servicer. A short description of what happened and the current status. What you would like to accomplish. We will contact the servicer and ask that its staff work with you to resolve the issue. Please note that we will be forwarding the information you provide on the form directly to the servicer. I am having trouble paying off my mortgage. What financial assistance is available to me under the settlement? Homeowners who are current on their mortgage payments but who are “underwater” (that is, they owe more on their loan than their house is worth) may be eligible to refinance their loan at a lower interest rate. Homeowners who are behind in their mortgage payments may be eligible for relief from a “menu” of assistance that the banks may choose from— including principal reduction, waiver of deficiency balance, relocation assistance, deed-in-lieu, and short sale. The banks will be responsible for identifying qualifying homeowners; but if you think that you may be eligible for either type of assistance described above, call your servicer at the listed number and ask to be considered for that. My servicer foreclosed on my home. What help is available for me? Under the settlement, some consumers whose homes were sold after foreclosure between 2008 and 2011 may be eligible to receive a cash payment under the settlement. The servicers will identify those consumers who qualify, and a “settlement administrator” will contact them. This process will take some time. Did the settlement require me to give up any legal rights? No. Homeowners and foreclosed homeowners did not give up any legal rights as a result of the settlement. You should consult with a lawyer if you want more information on whether you have a legal claim, as an individual or in a class action, against any of the settling banks or servicers. Homeowners who are behind in their mortgage payments can get information on available options from the Vermont Department of Financial Regulation (DFR) or from one of the five Homeownership Centers in Vermont. DFR’s telephone number is (802) 828-3307, toll-free (888) 568-4547. The Homeownership Centers may also be able to assist homeowners with loan modification applications; and DFR and the Homeownership Centers may be able to help Vermonters who are having difficulty working with their lender to obtain a modification.